As you prepare to embark on your big organizational goals, you probably have a few questions that are leaving you feeling overwhelmed. A big question you might be contemplating is how to find the right shelving for the project. Which Fleximounts wall shelf is suitable for you and your soon-to-be-organized space? Fleximounts wall shelving systems maximize the unused wall space in your garage, closet, basement, laundry room, shed and more. Choose from four different shelving options to find your ideal storage solution. This best-selling option comes in four sizes and two colors. 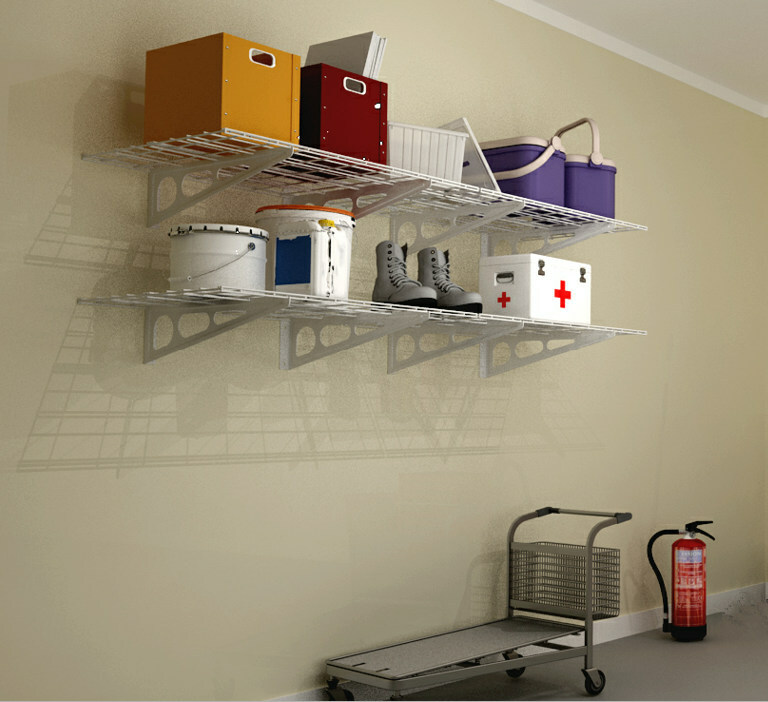 The 2-Pack Wall Shelf is ideal for garage or basement organization. Use the shelves individually or together to make the most of your storage space. Giving easy access to items you need every day, these shelves are a convenient solution to your storage problems. 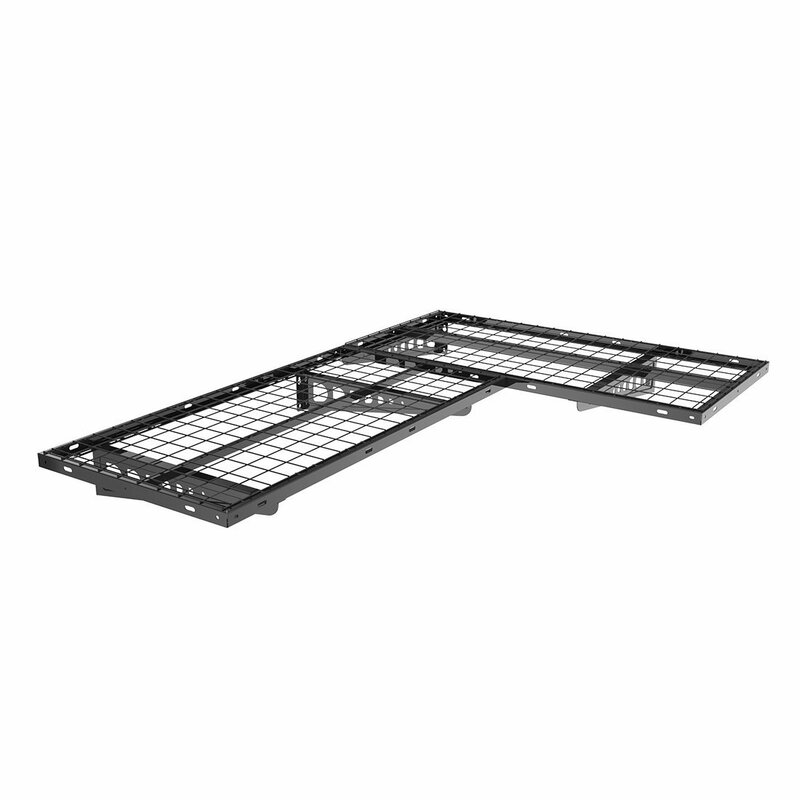 These shelves are made of heavy gauge steel and can hold up to 200 pounds. Sturdy and stable shelves are just what your garage, basement or laundry room is asking for. With all the hardware included, they are an easy one-person installation job for your weekend project. Load up these shelves with confidence as each of the three height-adjustable shelves is designed to hold up to 100 pounds. This option is perfect for organizing small tools, laundry supplies, or small storage bins! You may not always know exactly how high the shelves need to be, and that may change over time, so you have the flexibility to adjust as needed. 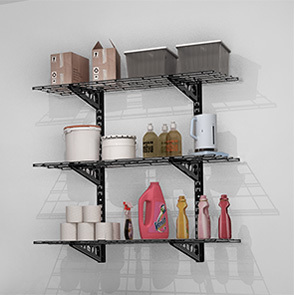 Easy one-person installation, patent design for tool-free adjustment and high-quality heavy gauge steel means these are shelves you can rely on for all your needs over time, no matter how they change. It can be hard to use up every inch of space when corners are often tricky for storage. Optimize those awkward corner spaces in your garage with corner wall shelving that’s easy to install. The integrated grid design makes it easy to assemble while also increasing the stability. Each shelf holds up to 220 pounds, making it a sturdy place to keep all your stuff while using every little bit of space possible. 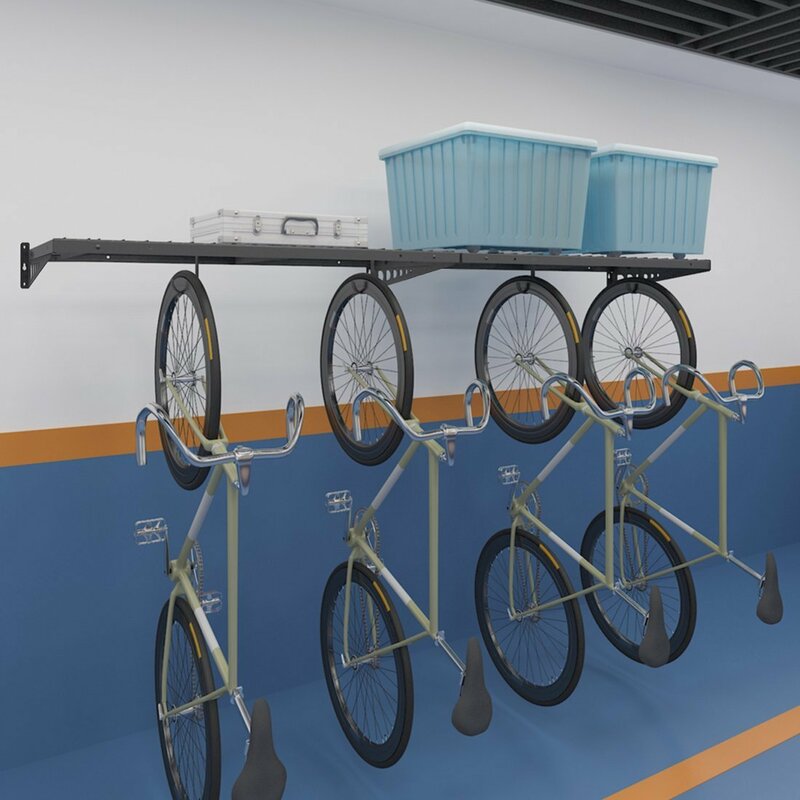 Design specifically to store your bikes out of the way, the Bicycle Rack Floating Shelves are a great way to create some more space in your garage. Our newly launched wall shelf is easy to install and sturdy enough to hold your bikes while still giving you easy access to them for a Saturday morning bike ride. As you prepare to get organized – whether your next big project is the garage, the basement, the closet or somewhere else – don’t forget that you have options to find the best shelving for the space. When you need to optimize the storage space you have, Fleximounts has the products you can use, with simple installation and quality materials you can rely on. Check out all the Fleximounts storage solutions to find the shelf to fit your next project.